Use these effective home remedies to lower your blood pressure and reduce your risk of heart disease. Salt is not the problem when it comes to high blood pressure, per say, but rather its chemical component sodium. A little bit is fine, but too much sodium disrupts the balance of fluid in the body. To “flush” the excess salt from your system, water is drawn from surrounding tissues. The higher volume of liquid results in the heart working harder to pump the blood-hence, high blood pressure. Sure we use a lot of table salt on our foods, but still, that amount isn’t enough to account for the rise in blood pressure. Actually, only 6% of our salt consumption comes from the table shaker. The vast amounts of salt we consume daily (on average 1-2 generous teaspoons) couldn’t possibly be caused by the salt we sprinkle on our food alone. No you have to dig a little bit more to get to the source-processed foods. Such an extraordinary quantity of excess salt is added into processed foods it’s easy to stray over the healthy limit of sodium intake. A specific example-a single microwave “roast turkey” meal can have salt in the meat, the flavoring, the gravy, the stuffing, and the potatoes, to equal a whopping 5,400 milligrams of sodium. The utmost maximum daily limited is listed at 2,300 milligrams-even less for African Americans, men, and anyone over the age of 51. If you fall into one of those categories, you should only consume less than ½ teaspoon a day. Even foods that are labeled low-fat or low in sugar can still contain a boatload of sodium. Food companies do this to, logically, increase the value of their products. We get hooked on the flavor. Of all the flavors (sweet, sour, etc.,) it is the hardest to live without. 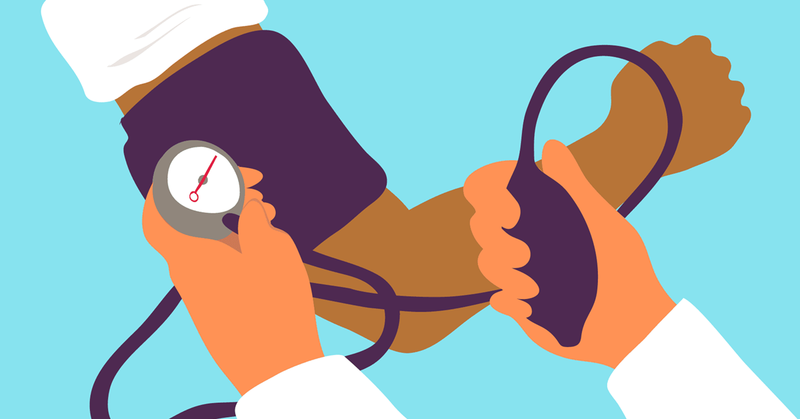 How do you fight it to lower your blood pressure? Hawthorn is a staple herb when it comes to heart health as it is rich in flavonoids, namely, oligomeric procyandins (OPC’s) and quercetin. Flavonoids are touted as having many benefits, but one of the most intensely studied conditions that it affects is various forms of heart disease. This includes arrhythmia, palpitations, improve the function of capillaries, regulate glucose metabolism and, of course, reduce arterial blood pressure and the risk of hypertension. There are several different mechanical actions that flavonoids can take on the blood, but pertaining to hypertension the most important may be the widening of the blood vessels, which ultimately reduces the pressure of the blood. You can enjoy hawthorn in the form of a tea or in the form of “balls”, which is what is given below. The recipe also calls for cinnamon and ginger, which are great for helping circulation flow smoothly. It was the herbalist Rosemary Gladstar who taught me how to make these wonderful herbal balls, and while I’ve tweaked the recipe some, I’ll forever be grateful to her for tuning me into this wonderful way of enjoying herbal medicine! Along with diet, exercise should really be number one on this list. Nothing can replace what exercise does for the body, and in a society where we are becoming increasingly sedentary, it can take a bit more effort to get out and get moving-but it’s worth it, especially if you have high blood pressure. The heart is a muscle, and it will grow stronger with exercise. It becomes easier to pump blood and takes less effort, keeping your heart in better condition and lowering how much force it exerts on your arteries, thus lowering blood pressure. Exercise is, in many cases, all that you need to get your blood pressure back on track. The top number in a blood pressure reading indicates systolic blood pressure, which is created by the heart pumping blood away from it. Exercise can lower this reading by an average of 4 to 9 millimeters of mercury (a unit of pressure), which is easily as much as some prescription blood pressure medications. A pleasant side effect of exercise is weight loss, which also does your heart and arteries a great favor. Garlic is one of those home remedy staples. It is rich in beneficial constituents that address a wide range of ailments, once of which happens to be hypertension. There is just one little catch though. Allicin, the organosulphur-sulfur containing- compound responsible for several of garlic’s health benefits, doesn’t fare as well in the human body when garlic is eaten raw. Allicin is relatively unstable, and is typically deactivated when it comes in contact with a substance with a pH lower than 3, such as our stomach acid. However, when taken in tablet form, there is a guaranteed allicin yield that ensures you get the proper amount to have solid results when it comes to lowering blood pressure. Be sure when getting the tablets that there is a release of allicin in a significant, standardized amount-in several studies involved with blood pressure, 1.8 milligrams per dose lowered blood pressure by 10% within 12 weeks. Every morning, be faithful to watermelon. Often times watermelon as viewed as a strictly summer fruit, one for seed spitting contests and barbecues, but it can also help lower blood pressure. An organic compound called citrulline, an a-amino acid, was first isolated in 1914 from watermelon. Once ingested, the body can convert citrulline to the amino acid L-arginine, which is a precursor to nitric oxide. To translate, citrulline-found in watermelon- is converted into arginine-essentially a chemical building block-which leads to the production of nitric oxide. Nitric oxide talks to various cells and systems in your body that regulates, among other things, how hard your blood gets pumped through your entire body-also known as vascular systematic resistance. It will widen blood vessels, which lowers vascular resistance, which ultimately lowers blood pressure. Imagine trying to pump a certain volume of liquid through a small opening versus a wider opening. The wider opening will allow it to flow smoothly and easily-it’s the same with blood cells! A study done in December of 2009 published in the Indian Journal of Biochemistry & Biophysics gave a group of participants 1 teaspoon of cardamom powder daily for several weeks. The results showed a significant reduction in blood pressure. While further research is needed to pinpoint exactly why it seems to help, it has still proven itself a useful home remedy for high blood pressure. Syrups are, hands down, one of my most favorite ways of incorporating the benefits of herbs and spices into daily life. While the word “syrup” may make you think of something sickly sweet and heavy-the opposite of what you want for heart health-that isn’t the case here. The “syrup” that you see on grocery store shelves may not be the best, but made at home it is a wonderful (delicious) way to give yourself a natural boost. And if we’re honest with ourselves, sometimes choking down bitter tea makes it hard to stay on track with a remedy. Blueberries are rich in the flavonoid quercetin, the benefits of which are explained in remedy number 5, as it is also found in hawthorn. You can mix in elderberries for an extra heart healthy kick as well-surprise, surprise they’re good for more than just warding off the cold and flu! When the nurse wraps the cuff around your upper arm and then announces two seemingly random numbers, what’s going on? Two forces pump the blood through our bodies, the first being created by the heart contracts and pumps blood out into the arteries, and the second occurs when the heart rests between beats and the heart muscle is refilling with blood. These two forces are known as systole and diastole respectively, and are the numbers you see on a blood pressure reading. The systolic pressure is the top number (or the first one read) and is the higher number, and the second number is diastolic, and is the lower number. So the next time you get your blood pressure read, remember the first number is referring the force of blood being pumped away, and the second number is the heart at rest refilling with blood. The systolic number should be less than 120, while the diastolic number should be less than 80. Anything higher and you enter pre-hypertension and hypertension. Previous ArticlePut This Mixture on Your Face For 15 Min to ERASE Dark Circles and Bags!